I am surprised how many patients have told me that they don’t wear athletic shoes, walking shoes or running shoes because they are “ugly.” This couldn’t be further from the truth in my opinion. The road that leads one to becoming a podiatrist is plagued with struggles deep within that break down your thoughts on shoes. I think this is especially difficult for a girl who likes a cute pair of shoes! From throwing away one pair at a time of shoes that I knew hurt my feet (which I could now explain exactly WHY they hurt my feet) to accepting athletic shoes as an appropriate shoe to wear with a dress (if it’s what my feet need) I realize my path has changed in ways that many others’ have not. Looking at the scope of conditions seen most often in our practice, a vast majority of these conditions can be solved or prevented with the right kind of support – beginning with shoes. While long ago people did not wear sturdy running shoes, they also did not have concrete sidewalks or paved roads. This contributes to our need to wear shoes now. The minimalist shoe movement seems (hopefully) to be coming to a halt. Or at least maybe people are starting to recognize sooner that there is no “one size fits all” shoe. Whether the actual size or construction of the shoe, the needs for one person to the next is varied. When you consider the many things people do - and how often and in what way they use their feet on a routine basis, you can start to see that the shoes for one person are also varied. When recovering from a foot condition - no matter the severity – it’s critical to try and recall how helpless and frustrating it was when you were having the pain that caused you to seek treatment. It is only at those times when you can appreciate how important it is to you to prevent the same issue from happening in the future. Appropriate support for your feet at any given time is crucial to you being successful in avoiding future foot pain. I have compiled a list of the top ten things that I would say are “uglier” than a gym shoe. These are in no particular order and I will explain what I mean with each item. 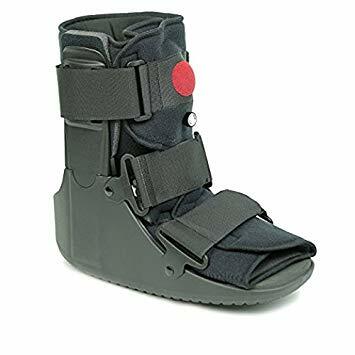 #1 – CAM walker boot: CAM stands for “controlled ankle movement.” These boots are incredibly useful for some foot and ankle fractures, tendon tears and ligament tears. Despite advances since these started being used, they are not attractive to wear. If you have had one in the past, chances are good that you have no interest in wearing one again – unless of course you plan to dress up like Darth Vader for Halloween. In addition, as they are designed to propulse your foot through your gait (or walking) cycle without relying on motion through the ankle and foot joints, they are bulky on the bottom. If you have back or hip pain in your past, this boot can contribute to that pain recurring. We try to limit the amount of time you have to where them, but our hands are tied in instances of fractures. Even in Harry Potter growing bones takes time! From plantar fasciitis to ankle sprains and fractures in the foot, the use of these boots can be avoided if you treat your feet to a pair of supportive gym shoes. #2 – Cast: We use casts in podiatry when patients have either had extensive surgery or if they have suffered a fractured bone or torn tissue especially one which is unstable. They take up about as much space as a CAM walker, but with the added bonus that they cannot be removed. This is helpful as it increases compliance to the instructions your doctor gave you, but of course you can imagine the consequences it can have. Casts are changed every 2 weeks typically. This means that your leg and foot cannot be washed during that time. Your foot can and will get smelly and for those of us who shave it usually means legs that are itchy or hairy afterwards. Also, those awesome calf muscles will atrophy due to disuse. Even with all the colors of the rainbow (and black) that you can choose from, you can see why wearing a pair of gym shoes for as many of those miles your feet walk as possible is a better alternative to having an injury and ending up in a cast. #3 – A frown: When your feet hurt, you hurt all over. It’s true! How do we do the things we love if not for having two fully functioning feet? When you are told you have to sit out at the baseball game, cross country meet or family picnic games you will be sad. That means you will likely frown more often than you did before. Ugly is a mean word – especially when we talk about a person who has suffered an injury and has to adjust to an altered lifestyle while they are on the mend. The point here is that if your feet are happy, you will be happy too. Happy feet, happy life is the saying – right? Help your feet help you. #4 – Weight gain: This is a touchy subject, but it is something we hear from our patients all the time. 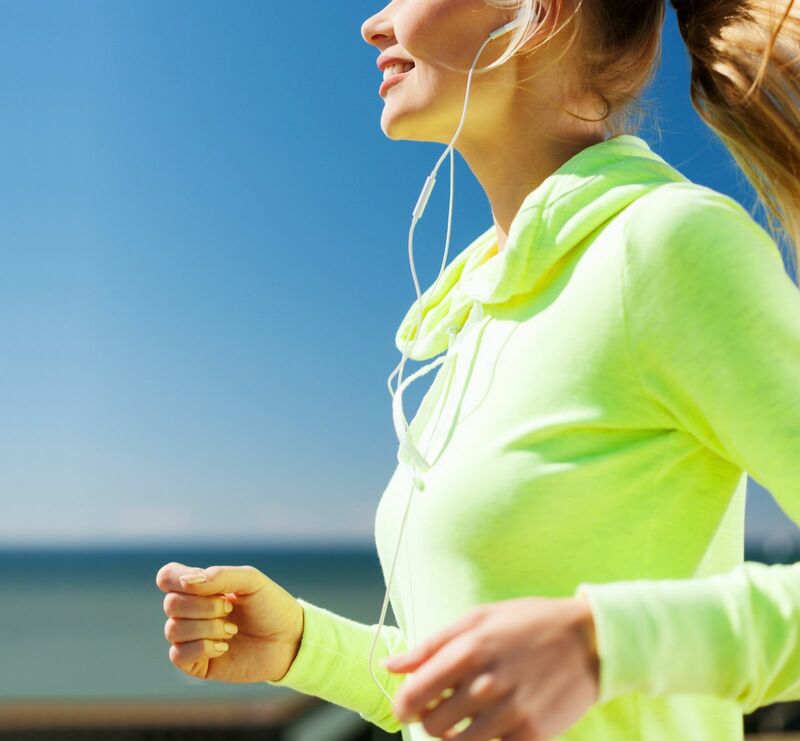 When you come in for a follow-up appointment, you are hoping your doctor will tell you that you can get back to all the activities that you love, which means you will be less stressed and will be able to expend more calories and get back into shape. 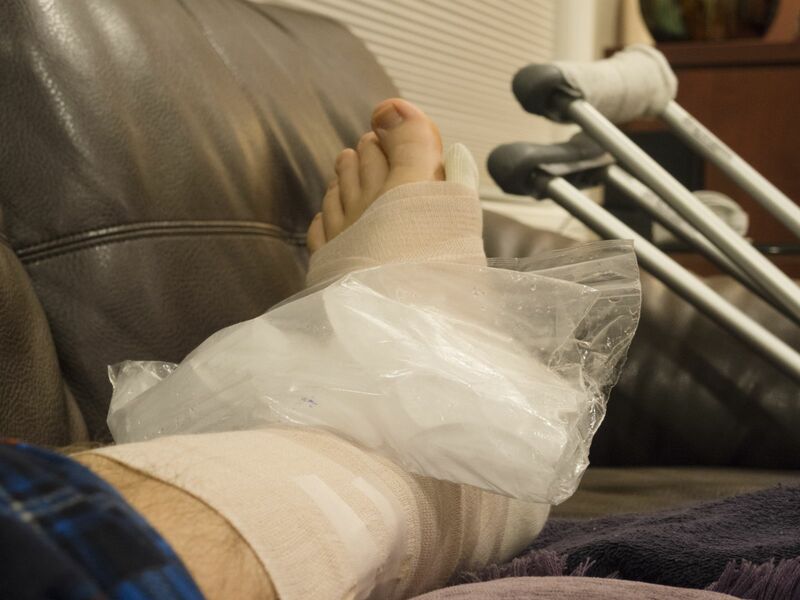 Even if you haven’t been told that you need a cast or a CAM walker, pain in your feet can keep you from staying active and the effects of gaining weight and being stressed out about it have a compounding effect. No matter what weight you were when a foot condition came about, we are all sensitive to feeling that we can no longer control our weight as well. #5 – Ingrown nails: If you are squeezing your feet into a pair of narrow dress shoes, wearing them for a prolonged period of time is never a great idea. We understand that gym shoes will not be the only shoes you ever wear in your life, but if you are walking from the train to your office every day in pointy toed heels, your feet will not appreciate it. Everyone’s feet swell to some extent every day due to gravity and activity. The more constrictive shoes you wear can cause our toes to be crowded together and you may soon find that a toenail that never bugged you before is now a big, hot, red, draining problem. There are many instances of people having ingrown toenails simply because they inherited a nailshape that is more prone to this. However, there are many nails that I have seen over the years that have suffered pressure from a shoe and/or an adjacent toe and when that pressure is unrelenting it can essentially begin a pressure sore along the corner of the nail. If the pressure is still not relieved, the skin where pressure is being applied can break down, open up and is now at risk of becoming infected from bacteria that naturally occurs on our skin (flora). Depending on how quickly you have this issue addressed, it may resolve quickly or you may find yourself battling pain for a couple weeks. 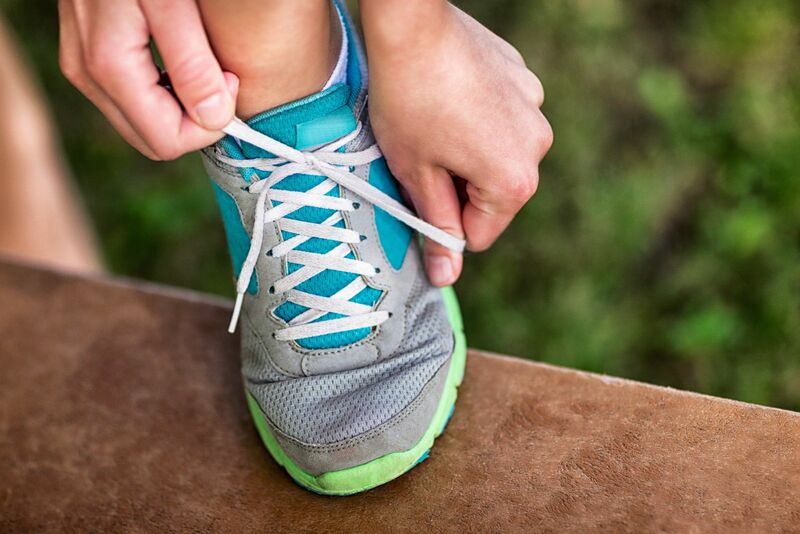 Gym shoes/walking shoes/running shoes allow plenty of room for your toes to splay which means your nails will be a lot less likely to cause a sore or infection in your toe. #6 – Blisters: These fluid-filled growths develop on our feet when there is an acute (or sudden) increase in friction to a given area of skin. 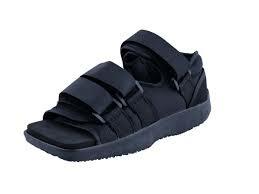 New sandals or shoes (especially dress shoes, strappy shoes) can be stiff when they are first bought. For a pair that fits like a glove, sweat can cause additional friction between your foot and the sandal which leads to blisters forming. When blisters form, the stronger and more superficial layer of skin bubbles out and fluid collects underneath as a way for your body to buffer the deeper skin. This is meant to cushion and protect you but because we usually stay in the shoes that caused the blister longer than we should, they can rupture (burst) or deroof (peel off) which places you at risk of infection. Even if blisters do not become infected, the underlying skin which is now exposed take a while to toughen up and heal. #7 – Foreign bodies: This may sound exotic at first, but a foreign body is when some piece of material which is not supposed to be in the body penetrates the skin. Example of this can include a piece of glass from a broken dish, a splinter of wood, a thorn, a wire or even a needle. In your foot, if a piece of foreign material makes its way into the skin, it may cause some limited irritation and then actually be digested or walled off by your body’s immune system. There are instances where incidentally we will find a foreign body in the foot which has likely been in there for years and never caused prolonged pain or problems. However, in instances where these do cause pain, in office or outpatient procedures may be necessary to remove this material. Since most of these foreign bodies are in the bottom of the foot, if surgery is extensive enough, you may find yourself in a walking boot or surgical shoe afterwards (refer to #1 and #8). #8 – Post-op/surgical shoe: Think of this as a smaller version of the CAM walker boot we discussed earlier. Our office carries these in black, which is more inconspicuous than the more traditional blue. That being said, with its purpose being to protect your foot, it has a rigid sole which can change the way you walk and people will probably still notice that you have it on. These surgical shoes are used in our office after toenail procedures (for ingrown nails or damaged/bruised nails) as well as if you have a sore on your foot or have a fracture in one of your smaller toes. When it comes to surgical shoes, to be honest there are many injuries that happen at times when you wouldn’t necessarily be wearing shoes. Think middle of the night you get up to get the baby/go to the bathroom/make sure you locked the back door and you suffer what we call a bedpost fracture (exactly what it sounds like). That being said, any opportunity to avoid a broken toe during the day should be seized! #9 – Onychodystrophy: This is a term that describes a damaged nail. Damaged nails can result from fungal infections or trauma most commonly. Shoes with a narrow toebox will most commonly cause onychodystrophy of the baby toe. Pressure from the shoe over a repeated period of time causes microtrauma to the growth cells which produce keratin (nail) and at some point these growth cells start producing keratin in a more haphazard fashion – resulting in a thick or discolored toenail. Damaged nails do not ‘heal’ or recover in the way that a broken bone, tendon tear or ligament would. This means that the thick nails are typically permanent. We have topicals at our office to help thin the nail, but they only work as long as you continue to apply them. Nails that are trapped inside a non-breathable shoe for hours each day are susceptible to onychodystrophy in the form of a fungal nail. Fungus breeds under dark and moist conditions. Just like bacteria, fungus is present in the environment and therefore you can develop a fungal toenail without necessarily remembering sharing a shower or shoes with someone else who has a fungal nail. Fungal toenails can be treated topically or with oral medication and this will often improve the appearance of the nail. That being said, the fungal infection can lead to damage of the nail and there are instances where the fungal infection has been eradicated but the nail still will not look normal again. Wearing shoes that allow your toes enough room and with a breathable material are the best way to prevent fungal infections. #10 – Amputations: In podiatry, we unfortunately see a lot of patients who have peripheral neuropathy – most often due to poorly controlled or uncontrolled Diabetes. Elevated blood sugars over a period of time cause damage to a nerve that results in burning, tingling and eventually numbness in the feet. When the nerves in the feet have shut down, they no longer produce the sensations of pain. While this may sound great, pain is truly a gift. If there were no pain, there can be conditions at play that harm your body without you knowing it. Loss of protective sensation is the term used to describe this advanced loss of sensation in the feet. Without protective sensation, a shoe that doesn’t fit quite right can cause irritation and blistering, but as there is no longer feedback to the brain telling you something is not right and to look at your feet, open sores and infections commonly result. This is the most extreme complication of having shoes that don’t fit well or are not appropriate for you. Too often we see patients who don’t even know how long an open sore has been present and by the time they come in for evaluation, it is too late and the infection is severe enough that it can require an amputation to save the rest of your body from becoming septic. Now we all know accidents happen and there is no shoe out there that comes with a guarantee you will never have foot pain. Hopefully now you can see why I think running shoes are beautiful. They are constructed with the purpose to keep you healthy, active and happy. Treat your feet kindly and give the appropriate amount and support that they need to keep you going. Running shoes aren’t ugly at all, especially when you consider the alternatives! If you are suffering pain in your feet, the longer you wait, the worse it can get. Call our office today for a thorough evaluation. What you will find it a friendly staff, knowledgeable and experienced doctors and a solution to the pain that's been keeping you down.